Kyau & Albert, formerly known as Kyau vs. Albert, is a German duo consisting of Ralph Kyau and Steven Moebius Albert, which has been active since 1995 on the trance scene as both remixers and producers. In 1997 they founded the German recorded label Euphonic. In August 2006, prior to the release of the single "Are You Fine?," it was announced that the duo had dropped the "vs." from their name and were renamed Kyau & Albert. Other aliases they use are Black Emanuelle, Dope the Globe, Moebius AG, and Quad. 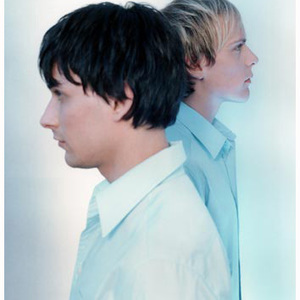 In August 2006, prior to the release of the single "Are You Fine?," it was announced that the duo had dropped the "vs." from their name and were renamed Kyau & Albert. Other aliases they use are Black Emanuelle, Dope the Globe, Moebius AG, and Quad.